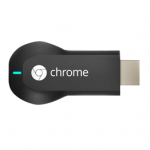 The Chromecast is a fantastic little device from Google allowing you to watch YouTube and Netflix on your TV even if it’s not a Smart TV. Simply plug the little HDMI device into your TV and control Netflix and Youtube playback from your iPhone, iPad, Android phone or computer. Unblocking of the Chromecast requires advanced router setup.